There's no doubting that there have been times where you've found yourself ankles deep in water thanks to a hole in your shoe, or ending your day with sore heels and blisters thanks to a discomforting sole. That’s why it's important to choose the right footwear for your feet. Equipping yourself with the wrong style of shoes can result in repeated trips to the store, and a lot more money spent in the long run. So you need to choose wisely, in order to wear them in with ease. 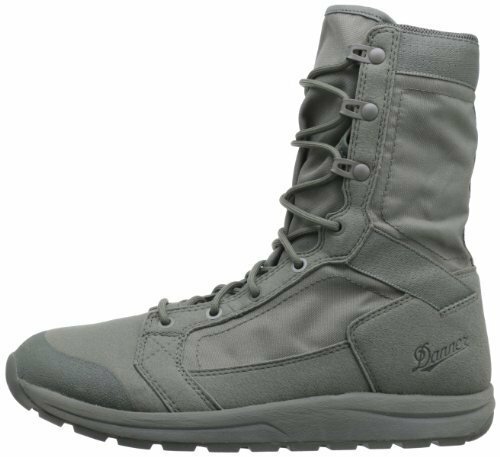 The Danner Men's Tachyon Duty Boots are a durable pair of footwear that is designed to suit anybody with love for the outdoors. In this review, we'll detail all the features on this unique pair of boots to help you decide if this is the ideal shoe to fit your requirements. Rubber outsoles with pentagonal lugs for grip and protection. Toe caps built to resist abrasion. Comes in black, green and grey. ​The Danner Men's Tachyon Duty Boots bridges the gap between boots and trainers. They've been designed to have the same protection of your normal workwear steel cap, with the lightweight of a running shoe. They're mainly for those in the workforce and people with a love for physical activity and usually, sell for around $120 on Amazon. A feature that has made the Tachyon Duty Boots so popular with users is its 500 Denier Nylon technology, which makes them incredibly light on the feet. This has helped when it comes to moving through rough terrains such as dirt, as they do not bulk you down with a series of heavy materials. The outsoles on the Tachyon Duty Boots have proved to be a hit with even the fussiest of steel cap connoisseurs. These outsoles are completely rubber and feature pentagonal lugs, which are crafted to grip in any sort of environment. You can forget about slipping and sliding your way around in these boots! 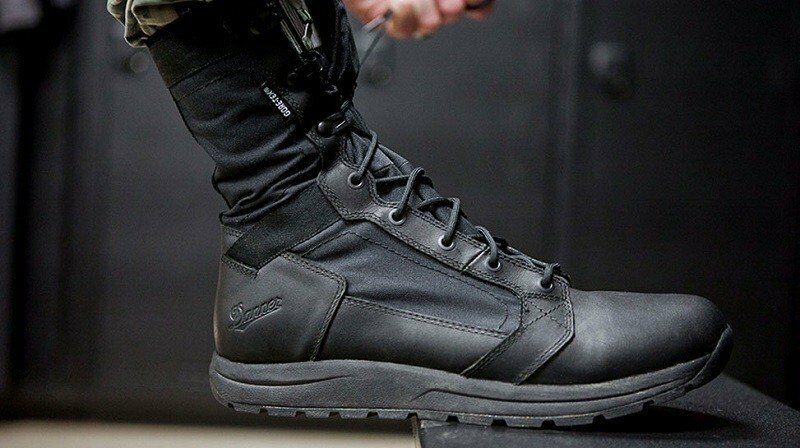 While the nylon may allude to a lack of protection, users have continued to trust in the Tachyon Duty Boots due to their implementation of full grain leather to ensure your feet are safe and sound. The leather adds some sturdiness to the boots, that is then balanced out by the light fabrics. This means you can wear these in a work environment without causing any safety hazards, all while feeling like you're in your sneakers! Another reason that people keep flocking to this unique model of boots is that of their steel toe caps, which are resistant to abrasion, meaning that these are made to last. Not only is this another layer of protection for your feet, but a testament to the long-lasting build of this shoe. Additionally, the waterproof feature has proven popular in the Tachyon Duty Boots, showcasing that it is an ideal footwear choice for the winter season. 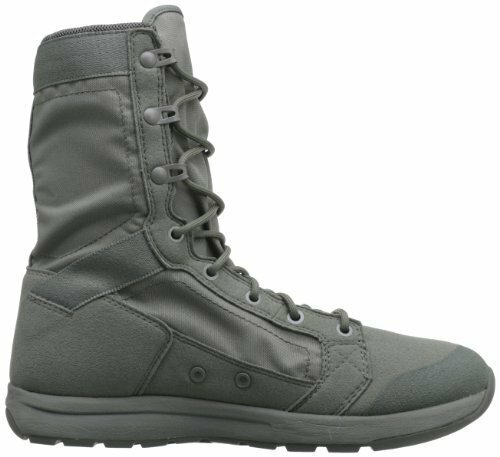 The rubber sole of the Tachyon Duty Boots are traditional in this style of shoes, but users have found that the lacing technology enhances the comfort in this particular type. One pull will result in tightening, therefore allowing you to lace up with speed and ease. Not only can you adjust the feel of these boots with ease, but you can also do it on the go. Are you still not sure about the Danner Men’s Tachyon Duty Boots? Do you need help knowing what you need in your footwear? Well then keep reading! There are different types of boots for different types of things, and you need to analyze a series of factors to decide what style is perfect for you. First of all, you need to think about what you are going to be using these boots for. If it's running, you'll want something lightweight. If it's labor-related, you will want something that specializes in protection. You need to seek out the features that match your usage most accurately and look at types and brands that fit your description. Next up, you need to decide a preference on the look of the boots. You can go for a low-cut or high-top, and choose between colors that range the spectrum. When you're running, hiking, working or doing whatever you want to do in your chosen boots, you're going to want to look good while doing it! You then have to look at the feature list of the boots and weigh out the pros and cons. Depending on what you're going to be using the boots for, you're going to want to look at the fabrics, soles, protection, and weight, as well as water resistance and grip. If you're looking for work boots, you're going to want something steel capped and protective so that you can avoid safety hazards at all costs. But if you want something for outdoor activities, you're going to want something reasonably lightweight with water resistance and a good grip. Last, of all, you need to pinpoint what your price range is, and what types of boots you can afford without busting your bank account. We would recommend you compile a list of boots you like and calculate an average price range for you to reach in your budgeting. Overall, the Danner Men’s Tachyon Duty Boots are the best of both worlds. You’re getting the feather-like lightness of an athletic sneaker and the durable protectiveness of a working boot in one, all while looking incredibly stylish. With its 500 Denier Nylon technology, it's steel toe cap and its rubber outsoles, you will remain comfortable, armored and well-gripped in this particular pair of boots. Whether you're in the mountains hiking or on the work site, the Tachyon Duty Boots are ideal for you.